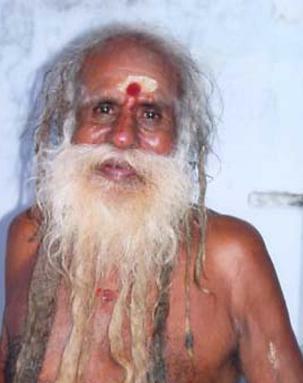 Chants by Siddhar Maha Siva Swamy, a Sage who has been in solitude meditating for over six decades. He sings the Thiruvasagam as a benediction to humanity as He prepares to leave his physical body soon. Thiruvasagam means sacred song. It was sung by a 9th century Siva Siddhar Mannickavasagar. This divine poetry has been recited by nearly all Tamil Saiva seekers and saints. This is a song to Source that this Sage has sung nearly every day for all these years. Listening to the chant is a blessing that covers all facets of life. Towards the end of the recital, Siddhar Maha Siva Swamy sets an intent of peace, awakening and Divine love for humanity. Hail, foot of Him, the One, the Not-One, and the King ! Victory to the foot of the King, who soothed my soul’s unrest and made me His ! Victory to the jeweled foot of Pinnagan, who severs continuity of birth ! Victory to the anklets of the King, rejoicing ‘mid those that fold adoring hands ! Victory to the anklets of the glorious One, who uplifts those that bow the head ! Praise to the foot of Civan ! Praise to my Father’s foot ! Praise to the foot of the Teacher ! Praise to Civan’s roseate foot ! Praise to the foot of glorious Perun-turrai’s God ! That thus my former ‘deeds’ may wholly pass. I, man of evil ‘deeds’ know not the way to praise ! Stone, man, and demon. ‘Midst Thy hosts I served. In every species born, weary I’ve grown, great Lord ! Truly, seeing Thy golden feet this day, I’ve gained release. That I may ‘scape. O spotless one ! O Master of the bull ! Lord of the VEdas! Rising, sinking, spreading, subtle One ! O Wisdom fair, causing unwisdom’ self to flee far off ! Release. Thou causest me to enter ‘mid Thy servant band. More subtile Thou than fragrance. Thou’art afar, art near. Thou art the Mystic word, transcending word and thought. And cuttest off the continuity of births – our mighty One ! I lay, hidden amid illusion’s shrouding gloom. Essential grace more precious than a mother’s love ! Working in grace of love, that in my mind delultion may die out ! Thou Who art without pleasure or pain, Who yet hast both ! First One, Thou’rt End and Midst, and art devoid of these ! Father, Lord, Who drew’st, and mad’st me Thine ! Holy ! Who comest not, nor goest, nor mingling liv’st ! That appear ! Unutterably subtle Intellect ! I can’t endure, our Guru, in this changing straitened frame to ‘bide. Dancer in Thillai ! Dweller in the Southern PAndi land ! The feet of Civan, lowly bending utter praise.